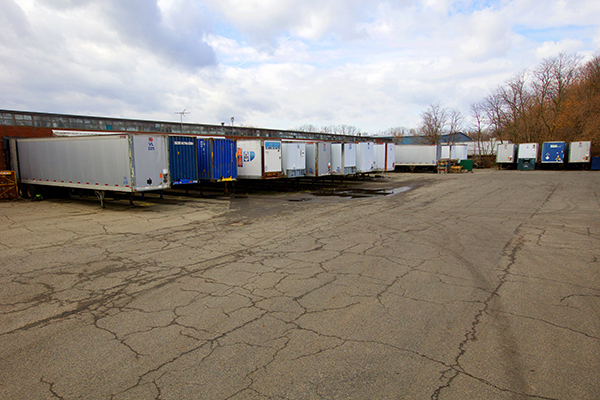 Trans-Americas' 3 acre/65,000 square foot textile recycling facility is located in Clifton, New Jersey, near NYC. 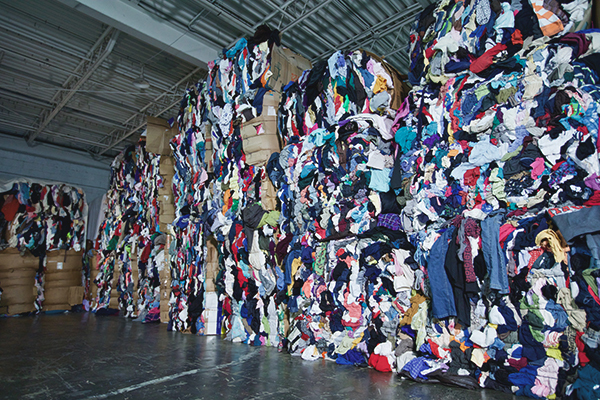 85 employees sort and recycle 35 tons (70,000 lbs/31,800 kg) of post-consumer textile waste daily. 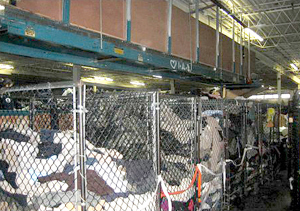 35 tons per day = 175 tons / 350,000 lbs / 179 kg per week, and 8,400 tons / +16.8 million lbs / 7.63 million kg per year. A high-volume, sophisticated material handling and grading system maintains consistent quality standards. 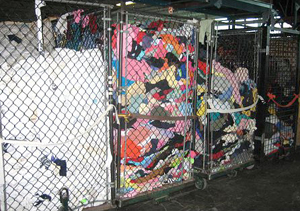 Recycling 70,000 lbs daily, we produce over 300 different grades of wipers, fiber, and secondhand clothing. 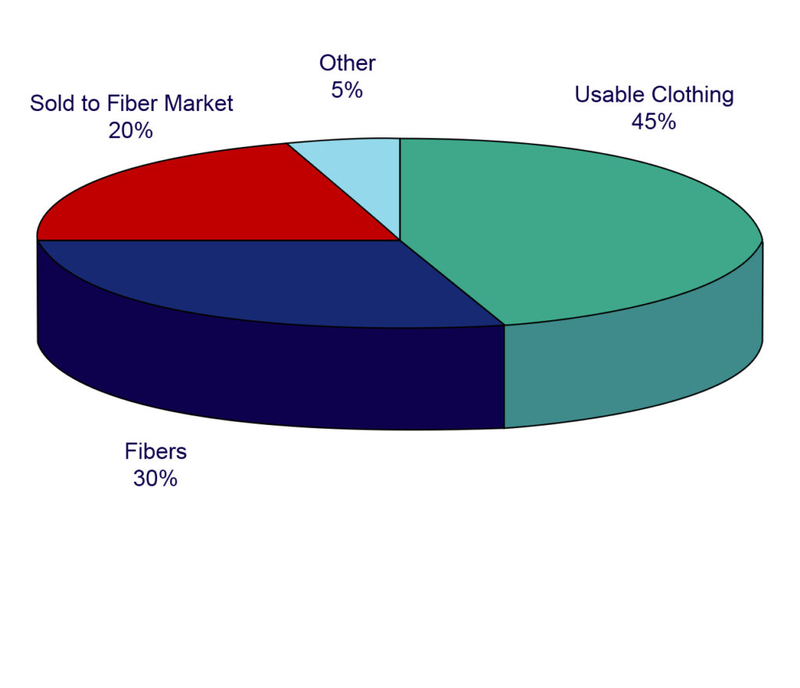 45% of our total sort is classified as usable to wear. 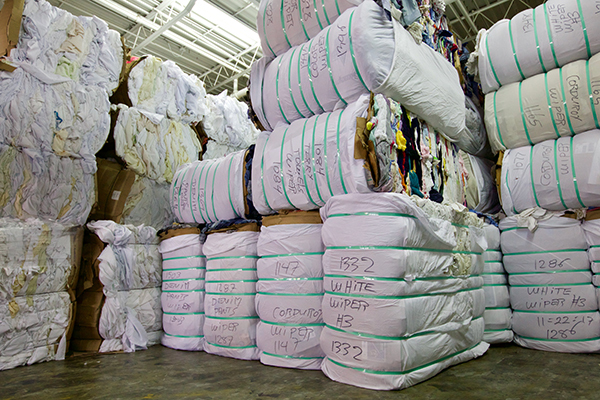 Secondhand clothing is baled for export and shipped to markets worldwide. Reclaimed Wipers ready to be purchased by buyers worldwide. 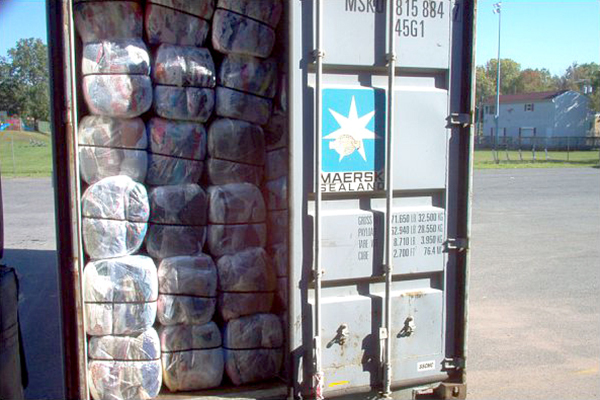 A container of quality secondhand clothing loaded full and ready for export. 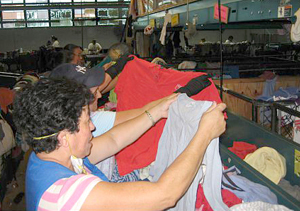 Since 1942, Trans-Americas has earned a reputation for providing the highest quality secondhand clothing. With a range of products from premium to export quality contact us so that we may assist you. 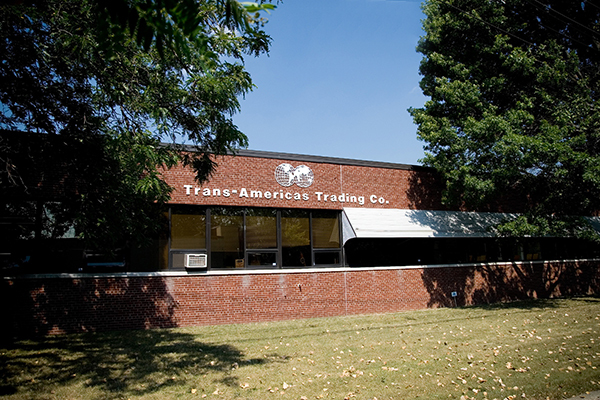 In business since 1942, Trans-Americas is North Americas' most experienced processor of secondhand/used clothing, vintage clothing, wiping rags, and materials for fiber recycling. 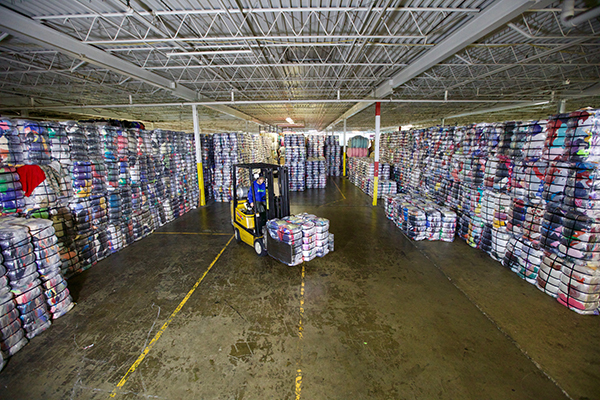 The corporation is headquartered in Clifton, New Jersey where 85 employees sort over 16.8 million lb/7.6 million kg annually in our 65,000 sq ft/6000 sq m facility. 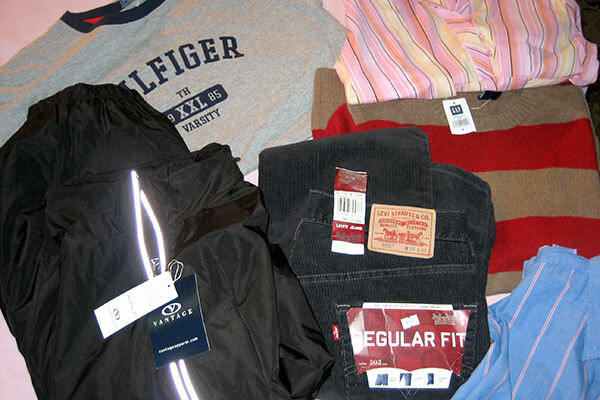 Located less than 20 minutes from New York City our customers benefit from our extensive used clothing collections in the world's most fashion forward city and surrounding area. 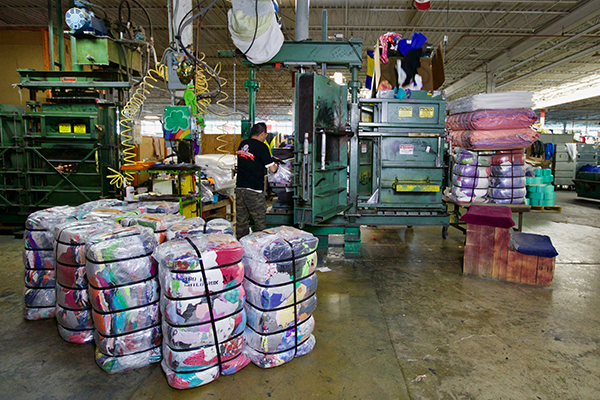 As an innovator and industry leader we operate one of the trade's most automated and efficient processing systems and have earned a reputation for the industry's highest quality graded clothing. 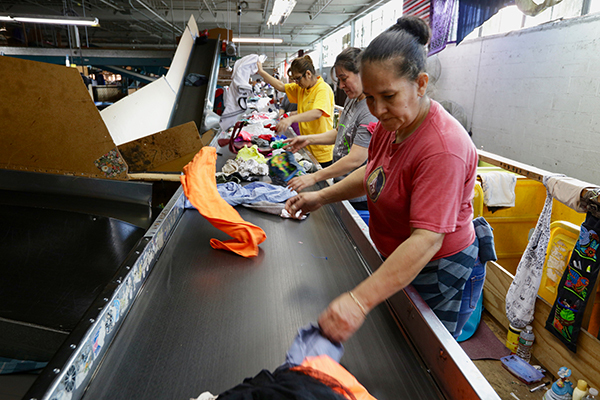 The Trans-Americas Group is comprised of: Kent Trans-Americas Clothing Corp, Trans-Americas Trading Co., Trans-Americas FSC., and Trans-Americas Textile Recycling Co. All are involved in the purchasing, recycling, processing and sale of post - consumer textile waste / secondhand clothing.